Fascinating Fact: According to the RSPCA, in 2014 The UK pet population was estimated at: 9 million dogs. 7.9 million cats. In fact, about 1 in 2 households owned a pet – that’s around 21 million pets altogether (excluding fish). There’s no doubt that figure is on the increase. That’s a staggering statistic isn’t it? To most of us our pets quickly become part of the family and naturally, we like to include them in everything wherever possible. It’s not surprising then that there is an increasing number of businesses that are grabbing the furry mantle and declaring themselves pet-friendly. Southport has more than it’s fair share and that’s great news for dog owners both local and visiting. That said, finding out which coffee shops, pubs and bars are willing to welcome our four-footed friends has historically been strangely difficult. So, in frustration and with time on my hands I set up a Facebook page called simply ‘Southport Dog Friendly’. My idea was to provide a forum for likeminded pet owners where they could share their positive (or negative) experiences about businesses in and around the resort so that we can then all confidently enjoy the many facilities available. The page quickly gathered members and we now have over 1500 members and a good selection of establishments featured that are more than happy to accommodate your Fido, Trixie and even Brutus. Fancy a full English overlooking the water? Then the Marine Lake Café is just the place. Nestling just behind the entrance to the Pier and on the edge of the lake, the Café has recently enjoyed a facelift and this conservatory style eatery is open throughout the day. It’s fully licensed too and with an extensive outdoor seating area and even a small stage, so you can sit outside on a sunny day and enjoy a pint of something cool and while away a couple of hours listening to one of their fabulous guest singers. Five minutes drive from the town centre is Churchtown, a medieval village that featured in the Domesday Book. Amongst the tiny preserved cottages lies the Bold Arms; one of two pubs in what was originally a small fishing settlement. The Bold is a quaint whitewashed building with oodles of olde worlde charm that was completely and sympathetically refurbished in 2015 and happily welcomes dogs in one of the two bar areas. Food and drink is available most of the day and water for the mutts. 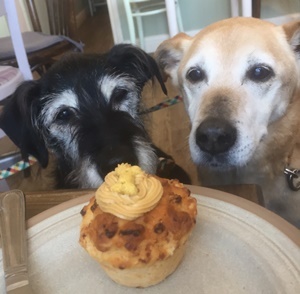 Churchtown is also home to The Wagging Tail, a café geared specifically towards dogs, although their owners are more than comfortably catered for, and offer a delightful range of doggy treats such as Pupcaks and Dog Beer. With the beautiful Botanic Gardens also in the village, it makes an ideal day out with your furry pals. Southport Pier makes an exhilirating walk and the Pier Pavillion is now dog-friendly and a great spot for a cuppa and a sweet reward when you get to the end. One of Southport’s hidden gems is the Lakeside Inn, affectionately known locally as the Littlest Pub and it is officially Britain’s Smallest Pub … they even have a plaque from Guinness Book of Records to prove it! This tiny pub sits on the edge of the Marine Lake and although there is only just enough room to swing a cat, the proprietors are willing to share what little space they have with your fluffy friends. 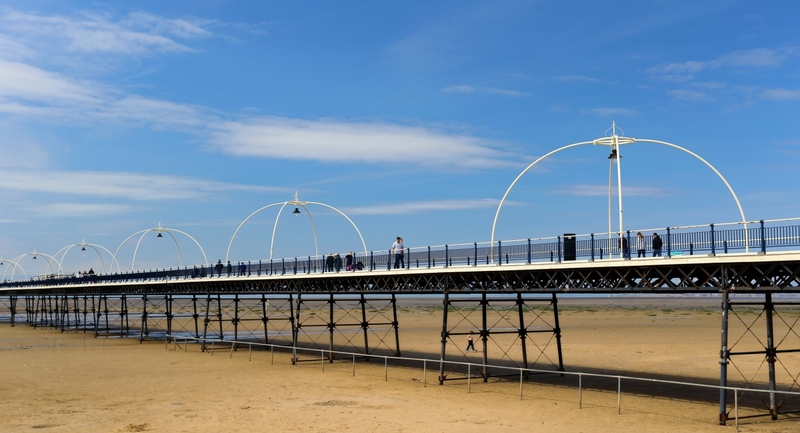 It’s not all about eating and drinking though - Southport has some beautiful parks, gardens and open spaces – just the ticket for working off all that pub grub. Southport has 15 miles of golden beaches and I have a theory that it must have magic sand. My two dogs spend most of their time on our sofa disguised as snoring cushions (yes, snoring) but, let them loose on the sand and they instantly turn into Red Rum, galloping around like a couple of cheetahs on the Savannah. Whether it’s the feel of the powdery sand between their toes or the fabulously clear seaside air in their nostrils, it appears to have a similar result to catnip! One thing is for sure; they always sleep remarkably well after a good canter … so inevitably we have lots more snoring! You’d be surprised to know that a lot more hotels take dogs than you would imagine too. The key is don’t assume that they won’t, just ask … you may be pleasantly surprised. After all, with so many people in the UK owning pets, its quite possible that the hotel owners are also dog lovers too. So, please Visit Southport and paws awhile. Do like my page on Facebook for more information and I look forward to reading your own suggestions and reviews!